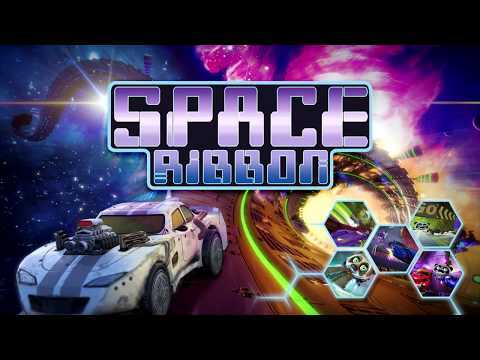 The year is 2132 and the earth’s remaining resources have been mined to create Space Ribbon, a reality TV racing platform set in the far reaches of the galaxy. Giant pandas and tigers spew illuminated ribbons of solid space junk from their mouths (space ribbons.) Humans compete by racing on these platforms, using the beaten up cars left strewn across the dystopian earth of 2132. This hedonistic pastime has become the fastest growing sport in the galaxy. The aim of game is to chase down a giant space beast and race to enter the creature’s mouth as it spews out a series of different psychedelic racetracks. Modify your junked up classic car and compete to become the intergalactic winner. The world is watching you. Space Ribbon was released on Switch 243d ago in the US and the UK. Notify me when Space Ribbon is available.